There is something almost magical about the ocean at night. For myself, that sense of magic is heightened when I’m on a pier at night. Such was the case one evening in Ventura. A huge orange ball seemed to sink into the Pacific and, as the lights gained control, schools of fish could be seen slashing their way through the phosphorescent water. 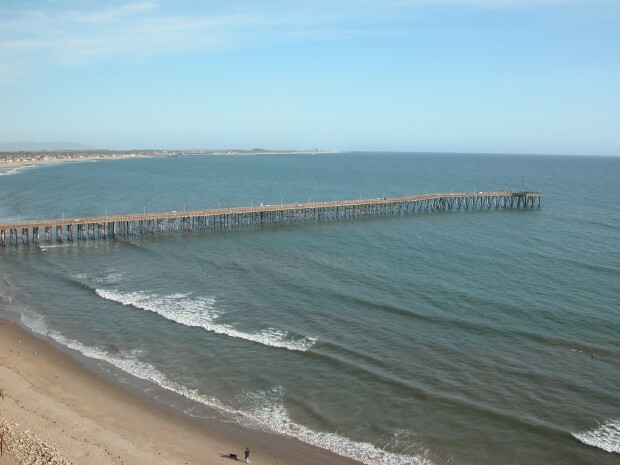 It was July of 1994, and it was my first visit to the new, actually reconstructed, 1,958-foot-long Ventura Pier, a pier that had seen off-and-on damage and repair since the terrible El Niño storms of 1983. I caught lots of fish that night and saw lots of fish caught. Mackerel, queenfish, white croaker, bass, perch, thornbacks, gray sharks and bat ray; all were caught that night. But the fishing was almost secondary in importance. More important, at least to me, were the scenes of a young father teaching his young son to fish, an elderly lady of Asian descent sharing stories of her youth with her granddaughter (or perhaps great granddaughter), and teenagers evidently out on a date at the pier. Nights, and scenes like those, sometimes give me hope that we may still yet find answers to our society’s problems (opportunities). 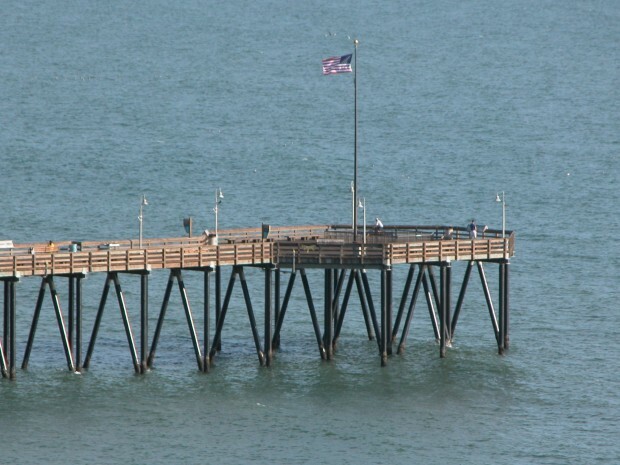 The new pier sits on the same spot and beach as the original Ventura Wharf, a pier dating back to 1872. That original wharf was a private wharf sitting on private land but since 1949 the pier has belonged to the state. 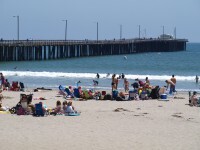 Today, the beach and pier are part of the San Buenaventura State Beach. 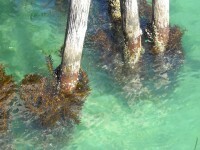 The bottom here is primarily sand, pilings have a good growth of mussels, and at times, usually late summer to fall, there can be considerable kelp and seaweed toward the end of the pier. Sand-frequenting species dominate the action. 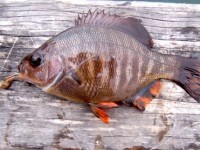 Inshore, barred surfperch are the number one type of fish followed by a few spotfin croaker, fewer corbina, sharks and rays (although thornback rays are very common). Mid-pier out to the end sees a larger variety of fish: white croaker, queenfish, halibut, sanddabs, calico bass (kelp bass), salema, mackerel, bonito and more sharks and rays. One of the unique features is the large, cutout section of the pier out toward the end. Not just a fish well but a hole roughly 20 by 30 feet that allows anglers to fish down among the pilings. AND, it is lit up with strong searchlights at night, lights that attract baitfish and the inevitable larger species attracted by the baitfish. During most months it can be a great place to fish, especially at night. Another unique feature is the ability to plug in electrical lines to the light poles. Families can hook up lights to help in the fishing, hook up electrical heaters to keep warm, or simply hook up radios for a little music. 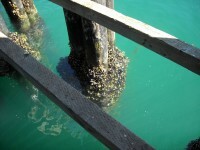 (And this was a feature that several piers USED to have.) Seems the folks at Ventura took a few good notes and have incorporated these now unique and excellent features in their pier. The bottom here is sand so fishermen should fish accordingly. 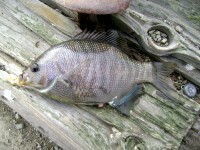 Inshore, expect to see barred surfperch much of the year with the largest concentrations, and largest fish, in the winter and early spring. Most of the barreds will fall to sand crabs, fresh mussels, bloodworms or clams fished on the bottom. Use a light or medium outfit equipped with number 6 or 4 hooks and just use enough weight to hold bottom. The same surf area will yield yellowfin croaker, corbina, and perhaps a few spotfin croaker in the late summer and fall months. Anglers fishing the surf area, or just past it out to the mid-pier area can also catch rays and sharks. For these, use cut anchovies, mackerel or squid. Species encountered include pinback rays (thornback rays), stingrays (round stingrays), shovelnose sharks (shovelnose guitarfish), bat rays and some skates. For these guys use a little heavier outfit with hooks up to 4/0 size. 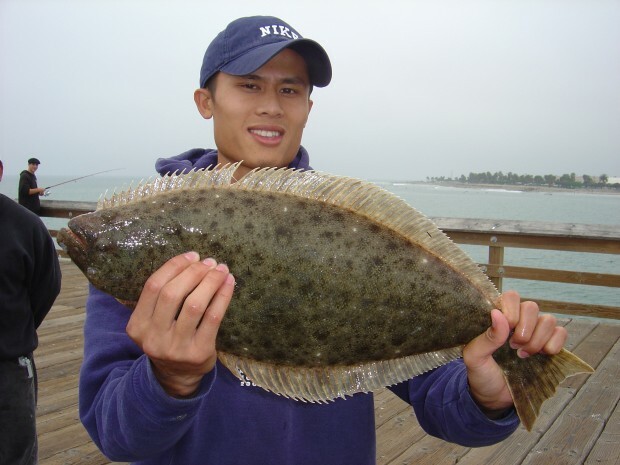 Late spring to late summer is the prime time for California halibut and these good eating fish will hit best just past the surf area to the middle area of the pier. 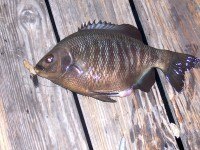 Live bait on the bottom is the key here but you will need to snag some bait—small queenfish, white croakers or smelt. Use a live bait leader and remember to check and change the bait as needed. Mid-pier to the end, use a snag line with number 8 hooks for jacksmelt, walleye surfperch, and queenfish. Many times these small fish will school around the pilings or in the depressions between the pilings. The same areas may also yield a few kelp bass and sand bass with most of these landed on anchovies. Anglers who try fresh mussels or bloodworms around the pilings may also be rewarded with salema, pompano (butterfish), a few blackperch, and rubberlip seaperch! The summer months, July through September, are generally also the best time for several other species including Pacific mackerel, jack mackerel, and increasingly, Pacific sardines. These can be caught almost anywhere around the pier using multi-hook bait rigs, although the mackerel are often caught with a strip of squid or anchovy under a split shot sinker. If you use one of the Lucky Lura-type bait leaders, use size 6 or 4 hooks and don’t hesitate to put small pieces of mackerel on a couple of the hooks to attract their cannibalistic brethren. Casting out, away from the pier with a high/low leader baited with cut anchovy will yield tom cod (white croaker) most of the year. Late fall is generally the key time for bonito to show up and most years will also see some toothy barracuda surprising anglers, especially in the evening hours. Both the boneheads and barries seem to prefer artificials; the bonies will hit on a feather trailing a cast-a-bubble while the barries like gold or silver spoons. Neither is all that plentiful but both show up just often enough to keep the hopes of anglers high. Fishing in the cut out section can yield almost any species but at night it can be good for both jigging up some bait and catching the big ‘uns waiting under the bait. Use bait rigs to snare herring (queenfish), tomcod (white croaker), smelt, sardines or mackerel. Then use some of the live bait to fish for halibut, white seabass and other larger species. 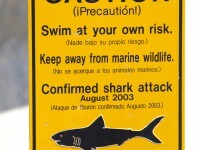 Out toward the end is also the traditional shark area. Most nights will find parties of anglers pursuing their “big game.” The most common species will be gray smoothhounds and shovelnose sharks (guitarfish) but mixed in will be a few leopard sharks, spiny dogfish and thresher sharks. Every few years will see an angel shark landed (watch out for their jaws) and I got one report of a Pacific electric ray landed in the late ’90s. The report on the electric ray said that the angler who landed it decided to stick a knife into it and, no big surprise here (duh! ), was shocked—literally shocked so bad that he was knocked out for about ten minutes. I later saw pictures of another electric ray taken in ’02 and once again the angler got the shock of his life. Do be careful! 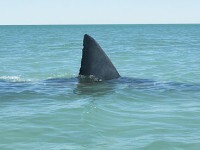 Most often the largest “shark” will not be a shark at all. Instead, it’ll be a big old mud marlin—a bat ray— and a 220-pounder was caught in the early ’80s. As mentioned, the pier was rebuilt following the disastrous El Niño storms of 1983. Unfortunately, that wasn’t the only time the pier was damaged. First built in 1872 as a working wharf, it suffered severe damage many times including 1877, 1878, 1914, 1926, 1935, and 1949. 1969 saw the end of the pier damaged and in the winter storms of 1977-78 new damage was suffered and part of the pier was closed. 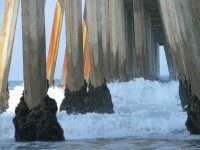 Storms hurt the pier in 1983 and then in January of 1986 there was major damage by winter storms and 10-foot waves. Two thirds of the pier was now closed. After partial repairs, the pier was once again opened in 1988 but the outer 500-foot section was closed to anglers. Agreement was finally reached that a major reconstruction was necessary. Funding was found to carry out the ambitious $3.5 million plan and the work began. Pilings and decking were replaced, fish cleaning stations were added, a snack bar and bait shop was added, restrooms were added, the entrance was widened, and a 5,000 square foot restaurant was built at the shore end of the pier. 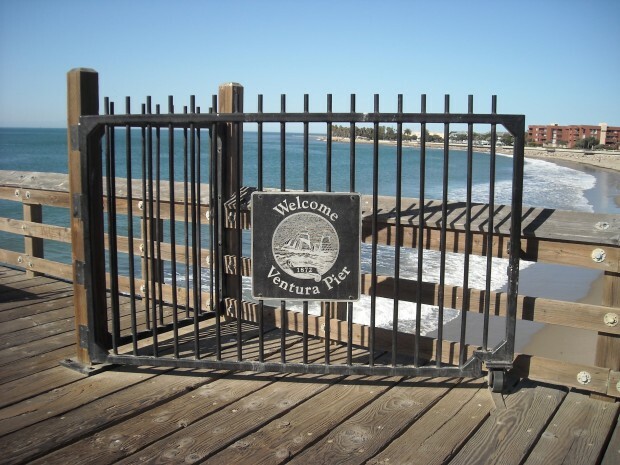 On October 2, 1993, the beautiful new, renovated Ventura Pier opened to cannon fire and a flotilla of boats. Soon after, 100 swimmers dived from the pier to swim around and commemorate the pier. The only complaint was from the fishermen who had to wait until late in the day before the crowds cleared and a little serious fishing could begin. An interesting feature of the pier was a series of interpretive panels, thirty in all, that described local history and ecology. Another interesting item was the “Wavespout,” an $80,000, 6′x6′ copper kinetic sculpture built out tracks out to the end. The pier eventually had a $2.2 million upgrade, one that included new steel reinforced pilings and a new square deck at the end in; it was finished in 1998. Such is the history of piers at such locations. What is most impressive to me is the efforts made by local citizens to raise money to restore and maintain their “beloved” pier. 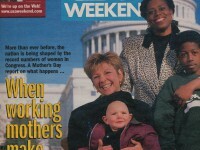 In 1993 the community formed a “Pier into the Future” campaign to establish a $1 million endowment fund for the pier. To raise the money, several different fundraisers have been used. In one, individuals, businesses and civic groups can donate various sums of money—$125 Deck Hand, $1,000 First Mate, $2,500 Commander, $5,000 Captain, $10,000 Admiral. In response, they receive a variety of commemorative plaques, “Grant Deeds,” and get their name engraved on an honor roll at the entrance to the pier. A second, highly successful event has been a “Pier under the Stars” food and wine tasting event (which includes a commemorative Pier wine glass). Another has been selling t-shirts, caps and other products, including salsas and barbecue sauces with labels showing the old pier. Last, but certainly not least, has been the issuance of several calendars showing old-time pictures of the pier ($5). It’s a great approach and one that should be copied by many communities. Pier anglers wanting to help Ventura’s campaign can contact these good folks at: Pier Campaign, P.O. Box 99, Ventura, CA 93002-0099, or call them at (805) 658-4739. Today the pier appears to be in great shape and contains a never-ending series of displays to help enrich the environment of the pier. On my last visit a new display showed a perpetual tidal movement and described the forces that affect the tides. Long live this pier and the group that protects and preserves it. 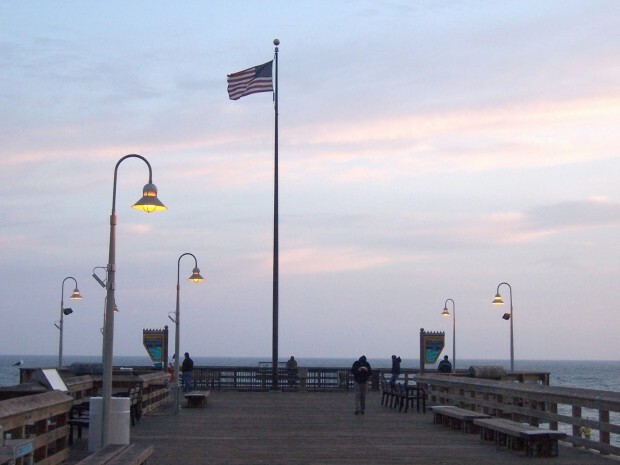 Facilities: Lights, benches, fish-cleaning tables, restrooms, bait and tackle, and a snack bar are all found on the pier. Near the pier is the parking lot for San Buenaventura State Beach; the cost is $5 a day. There is very limited free side street free parking but you need to arrive early and be prepared for a considerable walk to the pier. Handicapped Facilities: Handicapped parking and restrooms. The pier surface is wood and cement and the rail height is 36 inches. Posted for handicapped. How To Get There: From Highway 101 take the Seaward Drive exit west to Harbor Drive, turn right and follow it to the pier. Management: California Department of Parks and Recreation. 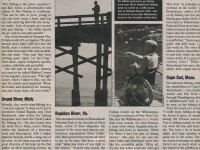 I used to fish the Ventura pier with my dad and two brother in 1946-1947. I remeber the wooden pier often gave my bare feet splinter. I was a young boy of 7 or 8. My brothers used to chew tobacco and spit the juice on the cut salted anchovy bait. We always caught a string of Tom cod, (Tommy Croaker), that we would fry up for dinner in cornmeal. In 1949 we moved to Bellflower and I frequented the Seal Beach and Belmont piers. 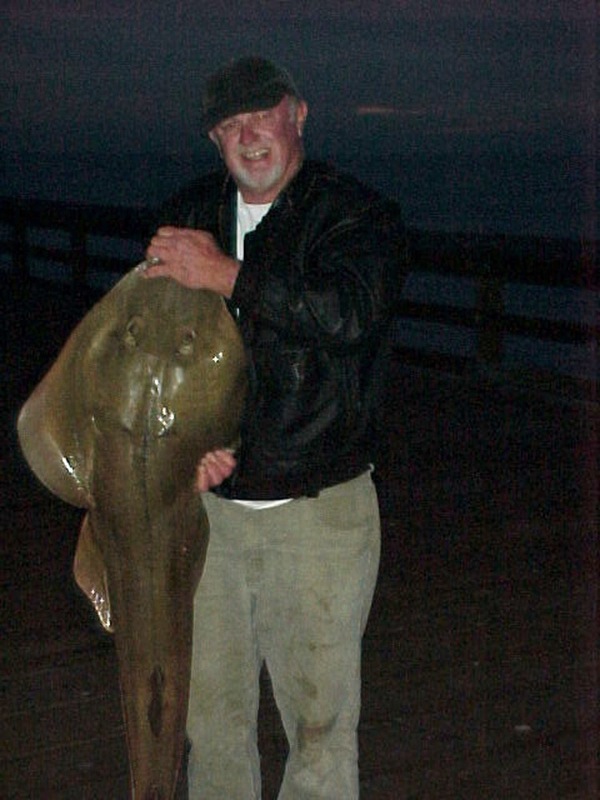 I loved to fish the piers and used to catch spotfin croaker near the surf and halibut was always the prize to catch. 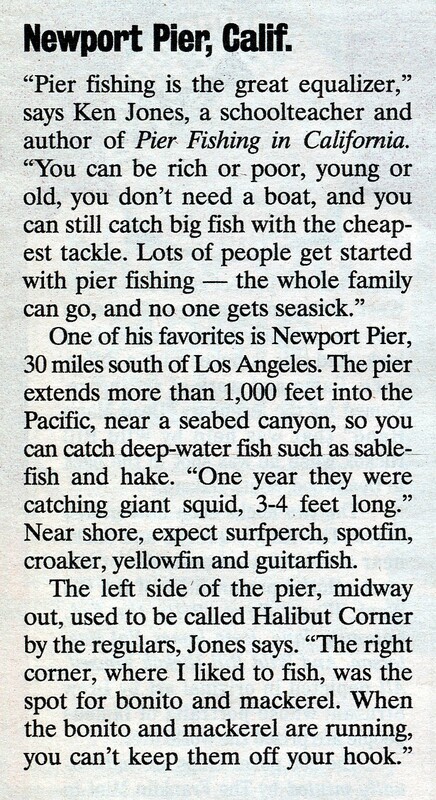 I also fished Huntington Beach and rarely Balboa pier. We are from panorama city first time to visit the pier and we are amazed what we see, people are very accomodating and the parking are clean and most the pier is so clean and very long, wide and most we got 24 mackerel,8 big jacksmelts and 2 perch, seeing you soon in our next visit next week.to my kababayan I recommend Ventura Pier.